I started by laying out all my supplies, reading the directions I printed out, and calculating the mix ratio. 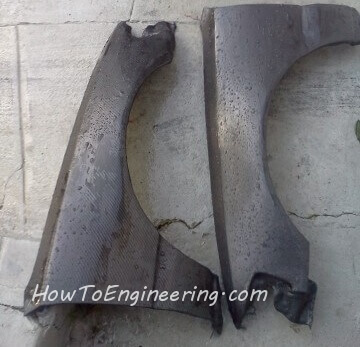 The box contains 2 yards of carbon fiber and those are the 2 junk yard fenders. 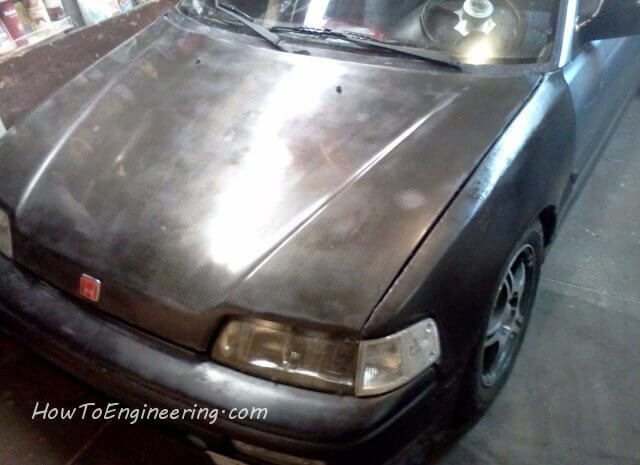 I already have a Carbon Fiber hood, so I decided I also wanted the Fenders to match. 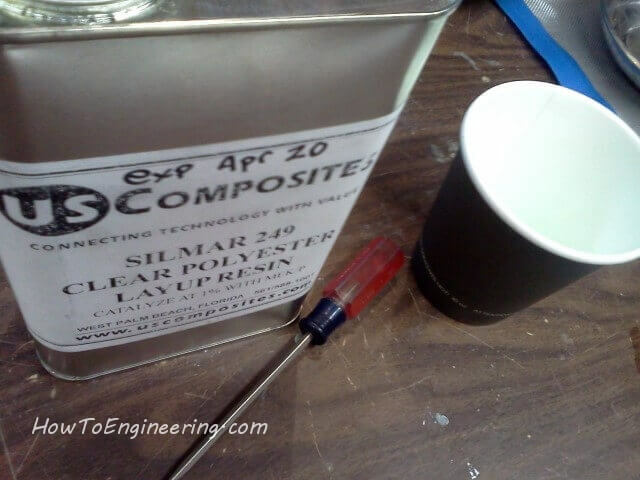 Time to start mixing chemicals. 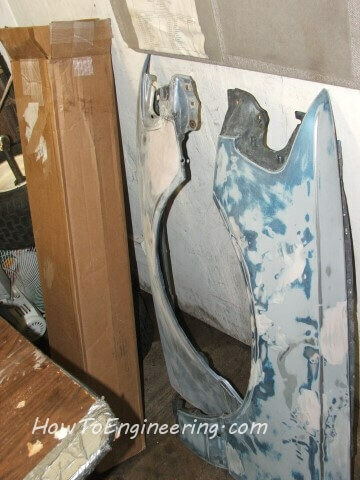 Here is the resin and the hardener. There is a chart in the instructions that shows the different mixes and dry times for different temperatures. 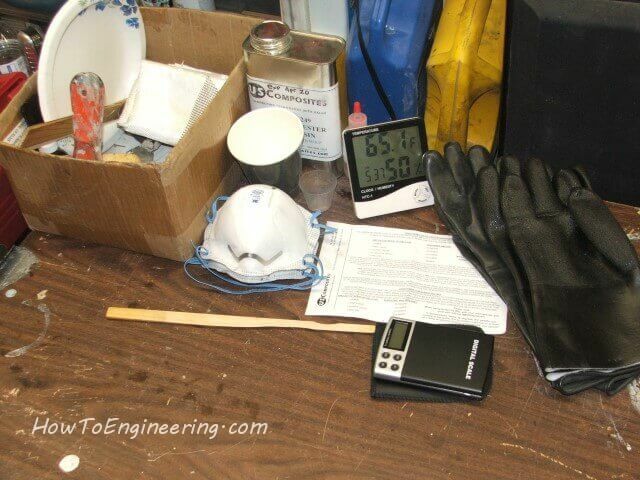 Be sure to wear gloves and a respirator, and have plenty of ventilation. 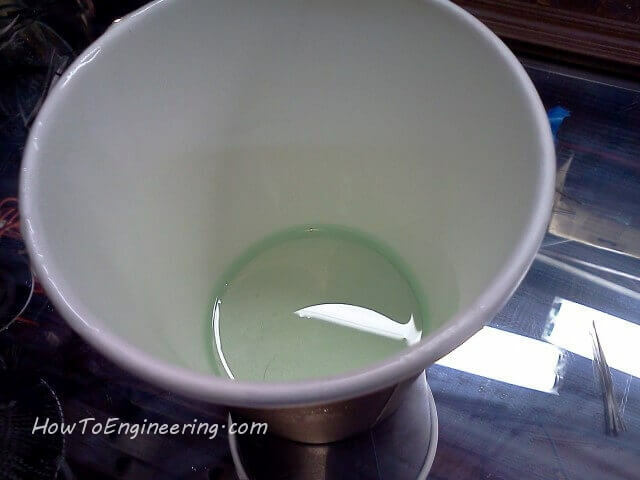 The chemicals are mixed by weight, with the empty cup zero out on the scale. 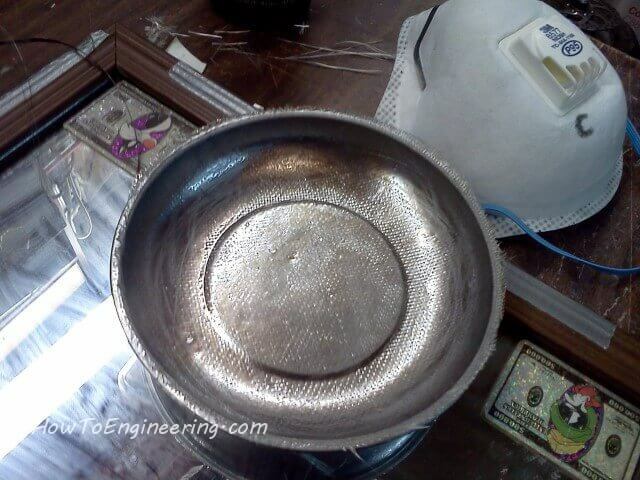 It takes very little hardener to activate the heating and curing of the chemical. This drying happens very quickly! 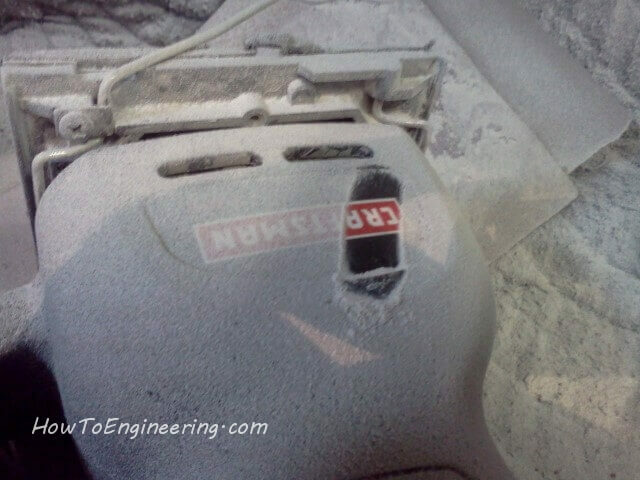 Have everything ready, sanded and cleaned, before mixing. 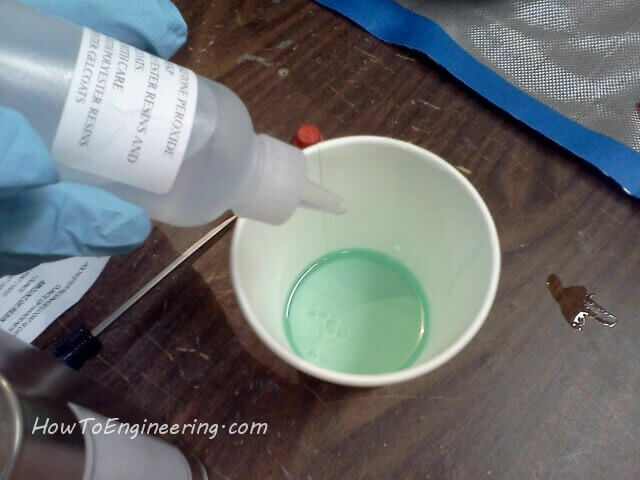 Be sure to use a disposable cup for this, as you will need several. Also you will need several brushes. After just a few minutes the brush will harden into the cup. 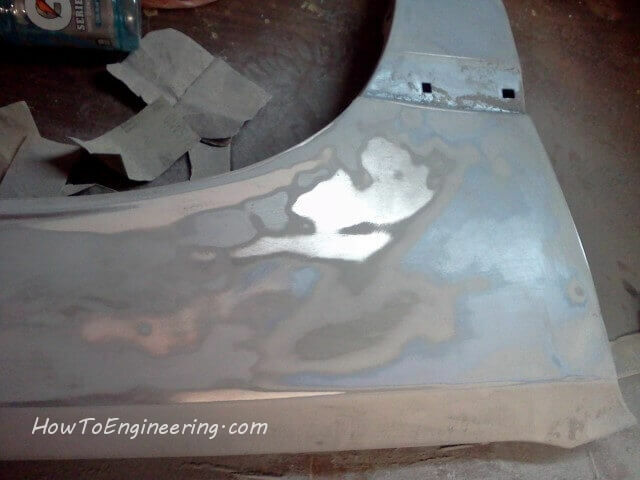 Before I jumped right into doing fenders, I started with a magnetic parts tray (Amazon). Its cleaned and sanded. 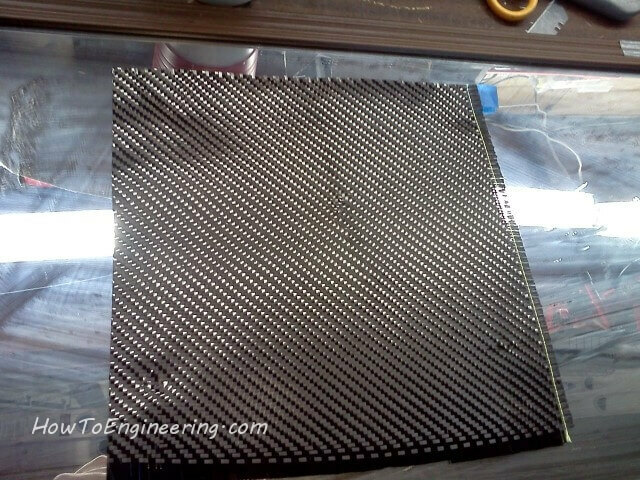 A piece of Carbon Fiber fabric was cut out to size. 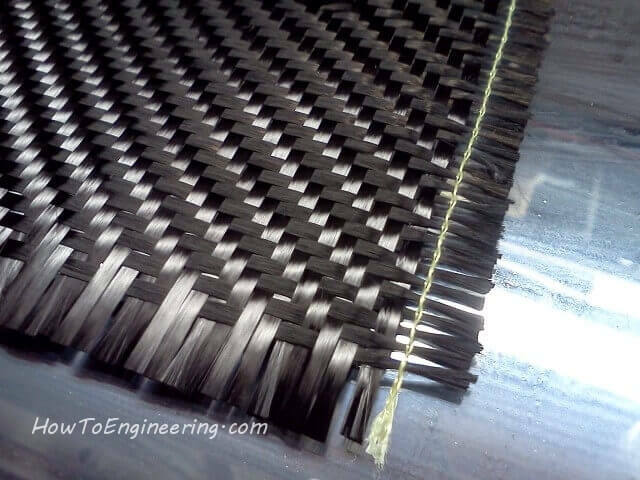 Look at that Wonderful texture weave pattern! 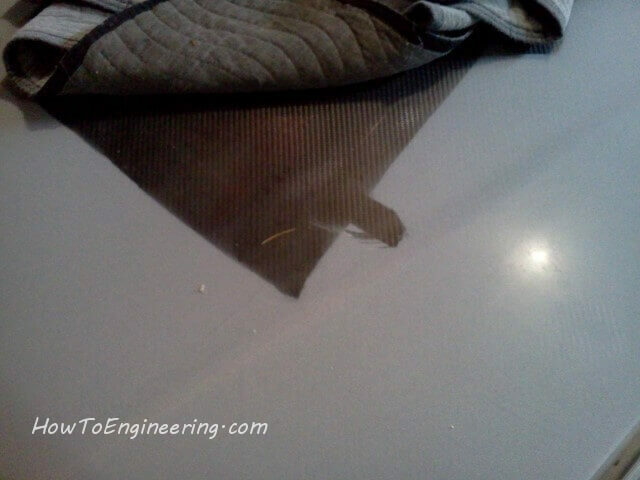 Be careful with the fabric, any twists or bends can change the alignment of the strands. 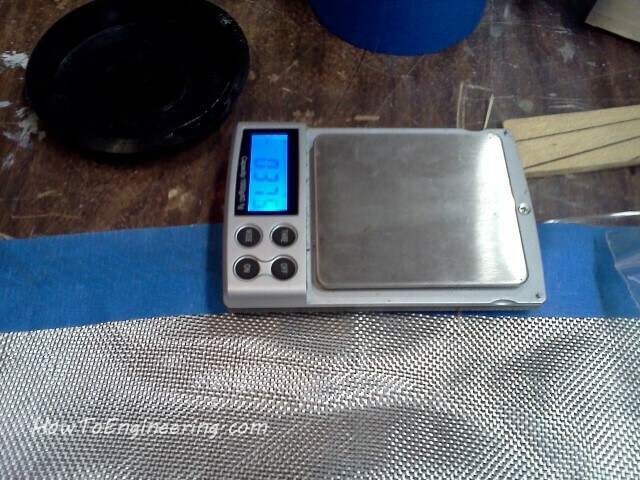 I applied some resin to the parts tray, then gently laid down the fabric on top. 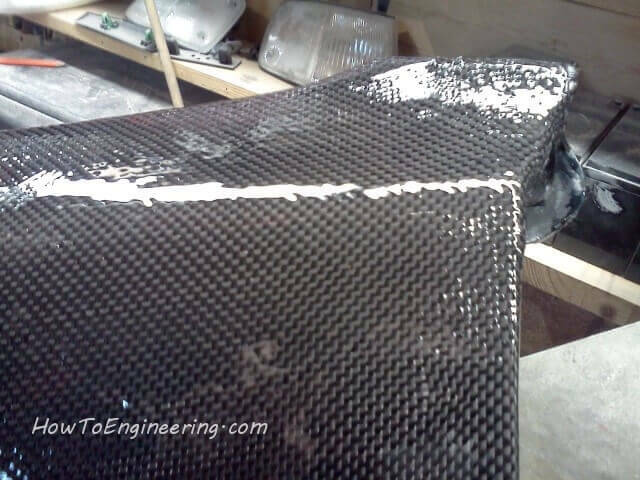 I then applied the first coat of resin to the top of the carbon fiber. 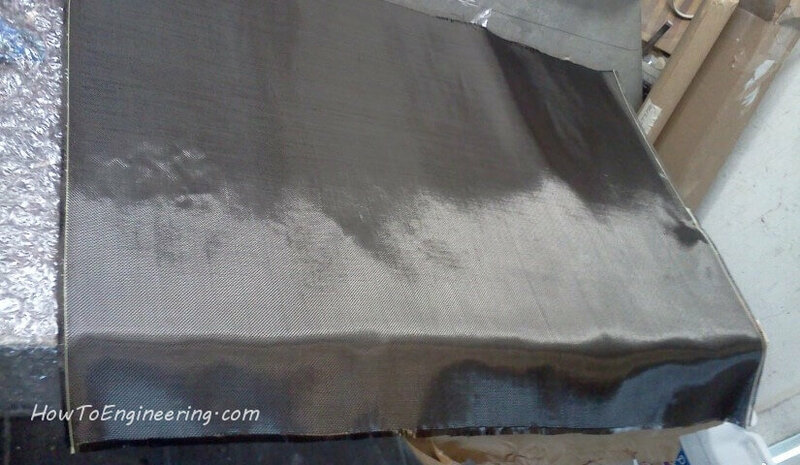 A few coats may be needed to fully cover the fabric. 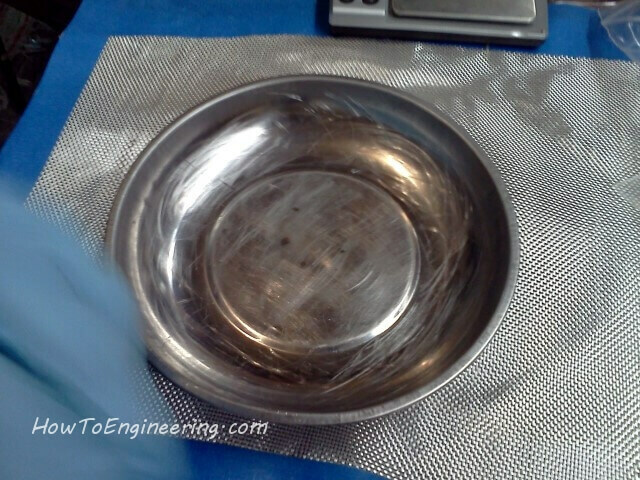 This same process is also used on fiber glass. 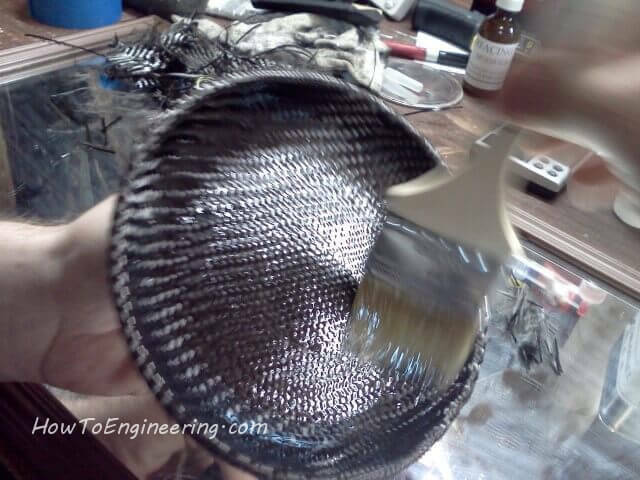 There are many different resins, and I used one for carbon fiber to bring out the texture better and to dry clear. Most fiberglass resins will dry with a yellow tint. Now that’s an attractive parts tray and it will take some abuse. 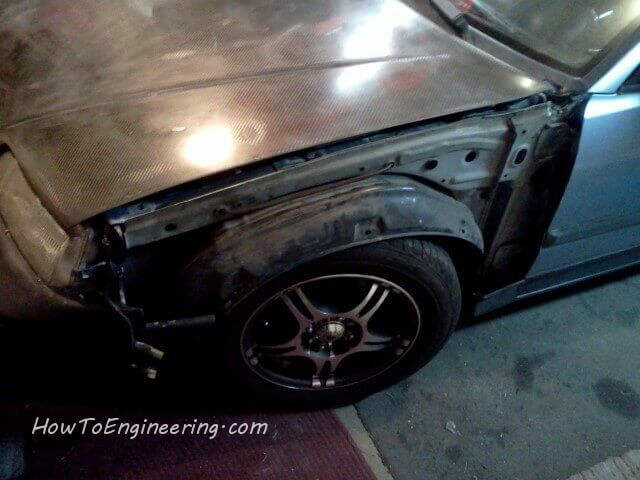 Now back to the fenders. 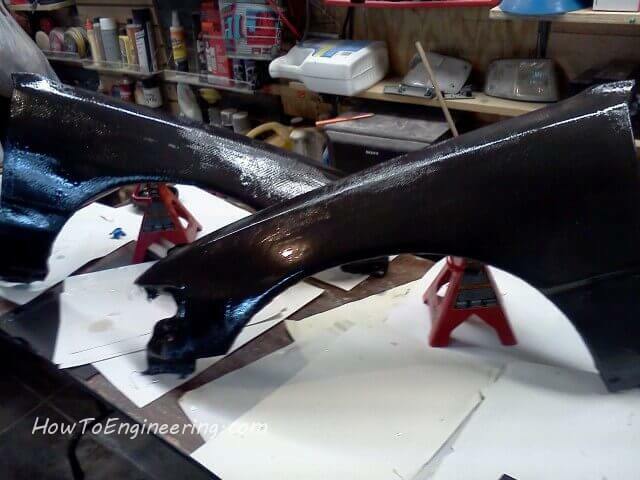 A thin coat of bondo and a ton of sanding to get the fenders nice and smooth. 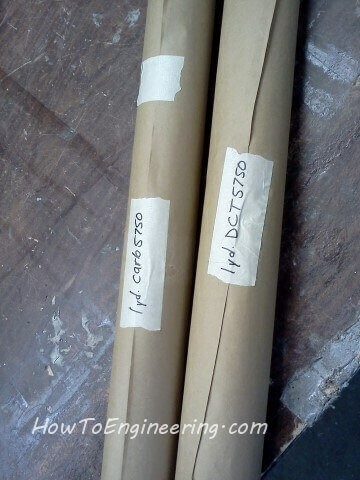 The carbon fiber came will packaged and labeled. 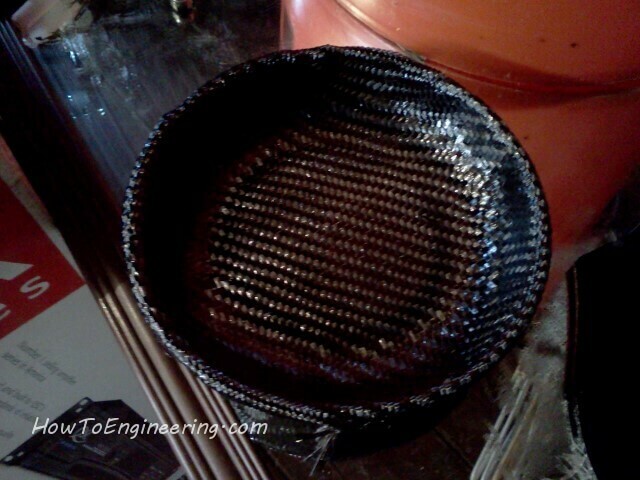 I purchased 2 different types, one normal carbon fiber weave design, the other has 2 strands pop up in one direction. 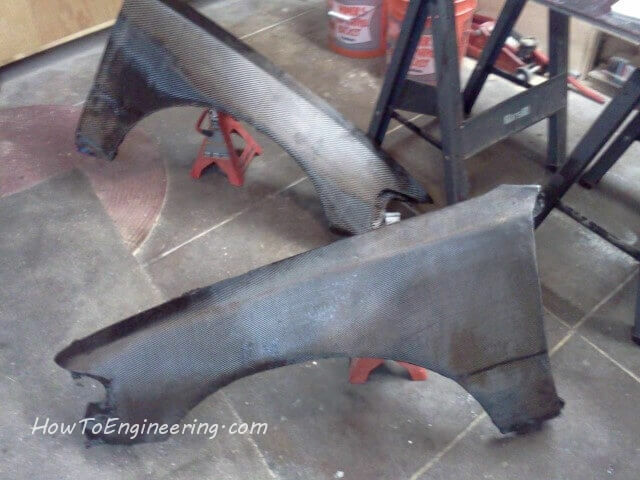 These are the fenders, sanded, bondo, sanded, then cleaned… ready to go. 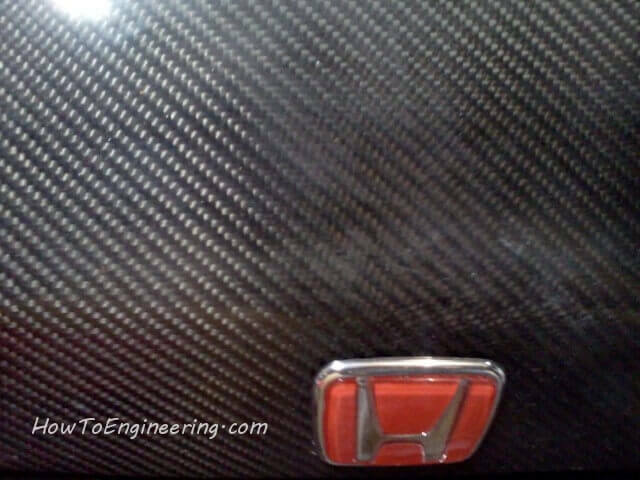 Here is the yard of carbon fiber fabric. Again, I mix the chemicals as I did before. 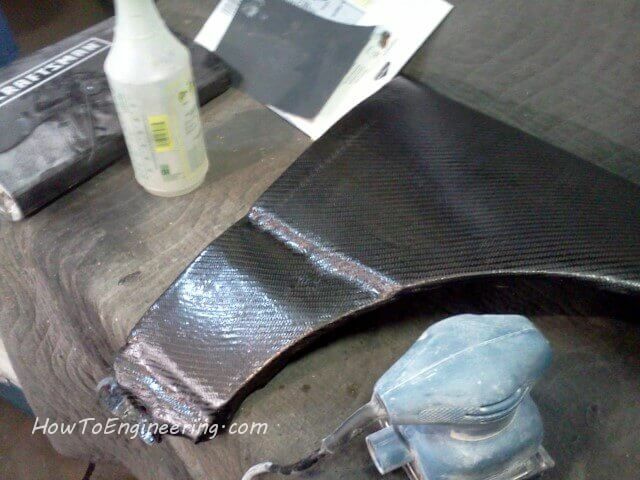 I apply the resin to the fenders, lay the fabric down, then apply more coats of resin on top. I did not take any pictures doing the fenders because I had to be quick so the resin didn’t harden before I could apply it. 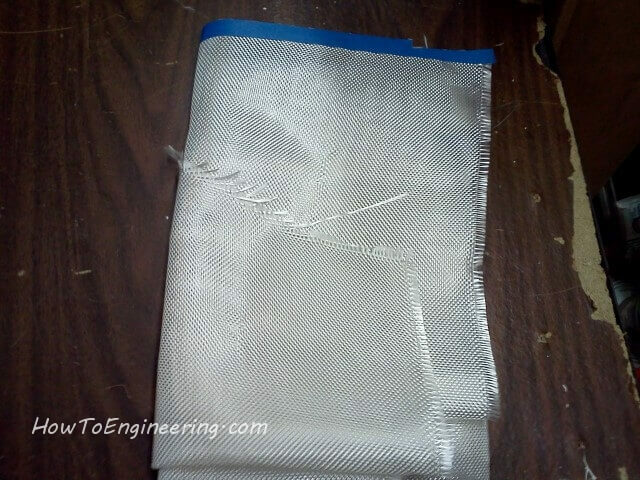 I kept applying coats until the fabric was completely covered smooth. 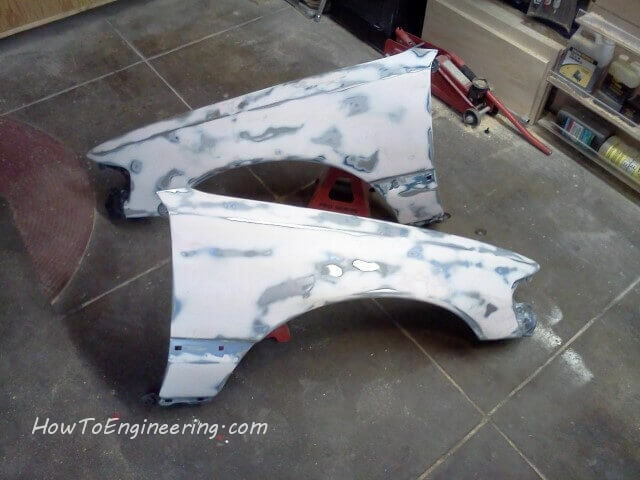 I then wet sanded the fenders after everything completely dried. I washed them off with the hose. They look great! Previous Previous post: Step by step – How to build a computer.